Open Hearts for Lung Disease. 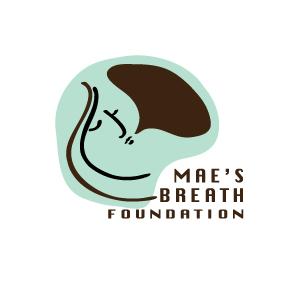 Mae's Breath Foundation giveback program for patients battling lung cancer with New York Presbyterian Brooklyn Methodist Hospital. BROOKLYN, N.Y. - March 4, 2018 - PRLog -- Mae's Breath Foundation will hold their 2018 fundraiser highlighting their give back community outreach program. Many people battling lung cancer or any illness that involves chemotherapy feel defeated in their journey. Patients struggle with the many demands of fighting the disease, and learning how they need to go about their new journey of survival. Mae's Breath Foundation is a 501 c 3 Organization that has held various give back and awareness programs over the last 7 years. They are committed to follow their mission of "Empowering and educating lung cancer patients, in treatment options while building effective relationships with their healthcare providers; all while maintaining their dignity." Mae's Breath Foundation Open Hearts for Lung Cancer fundraiser will raise funds for 10 giveaway baskets. Each of the baskets will include a variety of items that patients who have lung cancer can use during their lengthy infusion therapy. The items to be included: Neck Pillows, Slippers, Activity Books, Journals, Snacks, Lotion, just to name a few. The money raised by the organization will be used towards the items that will be included in each basket. The 2018 participant in their giveback program will be that of New York – Presbyterian Brooklyn Methodist Hospital. The organization wishes to present this facility with their give back program to their deserving patients. New York-Presbyterian Brooklyn Methodist Hospital will be the 2018 recipient of the Mae's Breath Open Hearts for Lung Cancer. Mae's Breath Foundation will present these baskets to 10 patients at the hospitals lung cancer infusion department. The presentation of baskets will take place this June 2018. Some items that will be included in baskets are: Neck rests, Snacks, Water bottles, Activity pads, socks, just to name a few. The organization will accept donations and sponsors on products of needs. Please contact further for details.